Formerly a noxious weed and juvenile corrections officer, Steve has been practicing massage therapy for a decade. 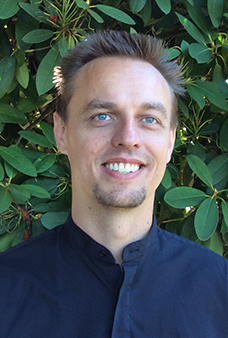 As a graduate of Olympia’s Body Mechanics School of Myotherapy and Massage, Steve is well trained in the secrets of deep tissue and several injury treatment modalities including massage for cancer patients and manual lymph drainage. His preferred massage style would include the sacred dance of the Lomi Lomi tradition. At one time, Steve was an avid golfer and boater. Nowadays his primary form of sun worship is gardening in his yard. Ask him about his Prunella Vulgaris or Impatiens Glandulaflora. Jeff brings a light heart and dynamic skills in acupuncture, combining knowledge from both Chinese and Western teachers of Oriental Medicine. Attending Five Branches University, and Graduate School of Integrative Medicine, Jeff earned his Master's degree in Acupuncture and Oriental Medicine. While he specializes in treating pain and elimination, his skill set is broad and ranges from treatment of psycho-emotional concerns to internal medicine issues, and to health maintenance, as well. Jeff enjoys music, hiking, biking, swimming, and martial arts, and can be occasionally spotted at the beach enjoying a long walk.